Selecting the right Costa Rica Adventure is important. It may be your first time traveling to Costa Rica, or you may visit our country often...regardless, it is important to understand what you will be doing on your adventure. We work hard to make sure that you know what type of Costa Rican Adventure you will be experiencing with Autentico Adventures. Many of our trips are focused on deep immersive cultural experiences in the rainforest's and rivers of Costa Rica. We work with several local families to allow you to experience exactly what it is like to live in Costa Rica. You get the opportunity to enter family's homes and connect with local people. Practice your Spanish, it will come in handy to be able to better converse with your new family friends during your adventure here in Costa Rica. Ranging from one day rafting and whitewater kayaking adventures, to 30 day long adventures throughout Costa Rica, it is important to decide what you're looking for. Are you looking for a fully immersive experience that takes you into the rainforest far away from typical tourist destinations? Or are you looking for an all inclusive resort? We focus on experiences that allow you (the guest) to enter in to a Costa Rican lifestyle. Make your own homemade chocolate, bread, cheese, and cane sugar. In our more intense Costa Rica Adventure Tours, we sleep under the stars with just a piece of canvas or taro above us. This is a great way to feel connected with the sounds, smells, and feel of the rainforest or river. We love it. Regardless, we offer fully inclusive adventures from your airport arrival to your airport departure. All food, lodging, transportation, activities are covered by us. Send us a message. We are happy to help plan your ideal Costa Rica Adventure Tour. 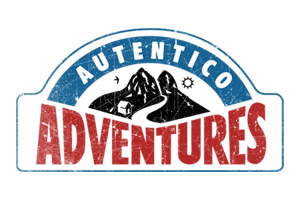 Autentico Adventures is a 100% Costa Rican owned business. We offer adventures in the rainforest, rivers, and beaches of Costa Rica. Our homestays invite you to explore the rich culture of Costa Rica off the beaten path. Costa Rica Weather, what can I expect? Autentico Adventures Costa Rica. Simple theme. Powered by Blogger.